You know that parenting these Fringy kids of ours is a unique journey that not just anyone can understand. Listen in as Heather speaks with Kitty Ver Kuilen, retired gt coordinator and current WATG board member, about finding other parents who can relate. We are coming up to October; the time of year when the excitement of a new school year fades and the behaviors start popping up. Listen in as Heather and Jon talk about the reasons for the change in behavior, how to see beneath the behavior, and how to survive through it all! There may or may not be a few (hopefully relatable!) rants mixed in, too. episode ninety - Can't we just follow the IEP? Some years are easy, some years . . . . not so much, but either way it seems like it takes a few days (weeks? months?!) every school year to get back on track with the tools and strategies that were developed for our fringy kiddos the year before. join Heather and Jon as they chat about ways to advocate for your kid. Today we are SO excited to have Debbie Reber on the Talky Bit. You may know her from her podcast or her books, and we're discussing what it is like to home school and be differently wired across the Pond, adapting to change, and understanding neurodiversity in general. How much is too much? Is there such a thing as too little? Heather & Jon talk about how to navigate parenting in the digital age. Today Heather and Jon will touch on a brief review of their trip, but more importantly they will discuss how to help deal with the pressure of having a gifted child. we also are proud to announce the official release of The Gifted Kids Workbook! Register to win a signed copy or a copy to review on Amazon by August 15th. It's easy! Just send a screenshot of your review of the Fringy Bit Podcast in apple podcasts to contact@thefringybit.com and you'll be entered to win! If you've already left a review, get a friend to review the podcast, and make sure they mention your name in the email they send us and you'll both be entered! In light of the recent and sudden loss of one of the gifted world's most influential leaders, this episode of the Fringy Bit podcast explores grief. While Heather & Jon only had the fortune of chatting with Seng Founder, Jim Webb, on a couple of occasions, his work and his compassionate presence has had significant influence on our lives, professionally and personally. Not the way we envisioned starting off the third season of our podcast, but we all know living a Fringy Life is anything but predictable. 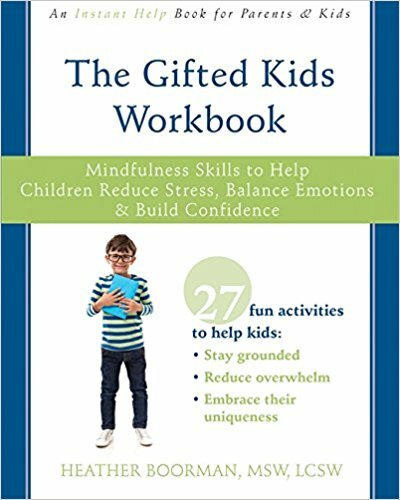 In an endeavor to continue adding to the great work Jim dedicated his life to, we also are proud to announce the official release of The Gifted Kids Workbook! Register to win a signed copy or a copy to review on Amazon by August 15th. It's easy! Just send a screenshot of your review of the Fringy Bit Podcast in apple podcasts to contact@thefringybit.com and you'll be entered to win! If you've already left a review, get a friend to review the podcast, and make sure they mention your name in the email they send us and you'll both be entered! Today we will be talking about and breaking down suicide, anxiety, and just all around helping YOURSELF when your kid is having a rough time. Enjoy. Jon and Heather welcome Lisa Van Gemert to the Fringy Bit! Lisa (aka the gifted guru!) is an educator, author, speaker, and mom of gifted kids, not to mention a bit gifted herself. Together we talk about (you guessed it) all things gifted. This episode is packed full of resources, insight, humor, and good stories. Enjoy! episode seventy-nine: disability or disobedience? Gifted people tend to ask the big questions: What is the purpose of life? What happens after death? What is the point of it all? The big questions that don't have easy answers, or maybe don't even have answers at all. These questions, the recognition that the world isn't always as kind or put together or just as it could be, can create some existential depression. Heather and Jon explain more about existential depression and ways to help you and your kids through it. It's not always comfortable to talk about, but it's time to be uncomfortable and talk about it anyway. Suicidal thoughts can be an aspect of depression. Listen in as Heather and Jon talk about ways to talk about it with your kids and things you can do to help. Heather & Jon continue their 4 part series on depression by focusing on depression in us parents. Parents of differently wired kids have a higher rate of depression and anxiety than the general population . . . why is that and what can we do about it?